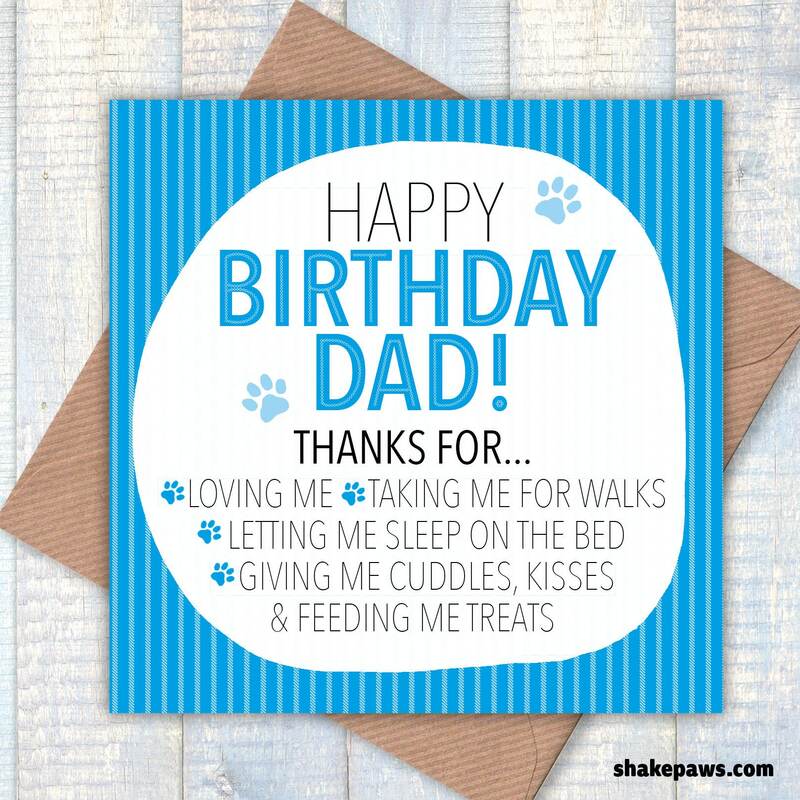 Send our Happy Birthday Dad from the dog greetings card to the dog-loving dad in your life. He may lavish all his attention on loyal little pooch these days, but there was a time when he did exactly the same for you! As a dog lover, we’re sure he will appreciate it. 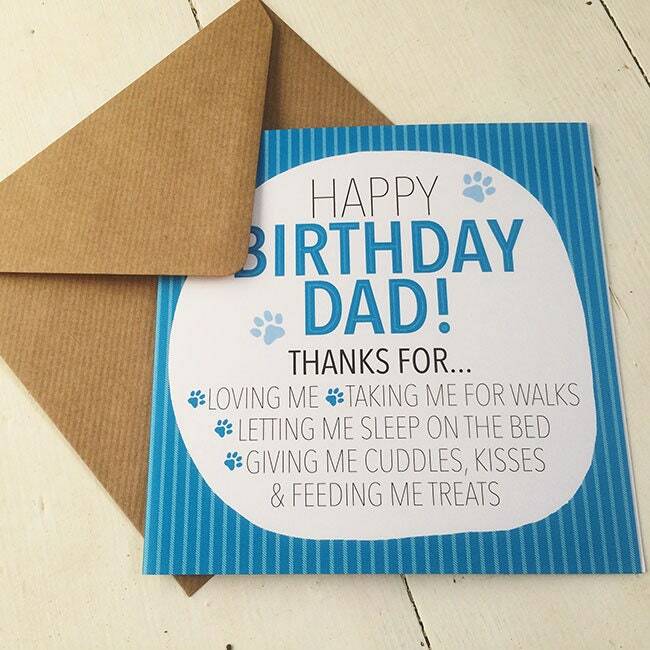 Blank inside for you to add your own message – and maybe a paw print or two! UK orders are sent via First Class post. Orders to all other destinations are sent via Air Mail (allow 5–7 business days). Please note that we are based in England, in the United Kingdom.